Popcap games is one of the pioneers in producing quality games well known for Bejeweled and Peegle. It's happy news for gamer's that EA had incorporated with PopCap games.So EA games will develop the Plants vs Zombie :Garden Warfare game. At this year's E3 Electronic Expo Electronic arts had showcased the upcoming game Plants and Zombies:Garden Warfare. Electronic arts also added ,this game will use the same engine as that of the upcoming shooter game "Battlefield 4".First game of the series was very much fun and the only thing which pissed the game was its cartoon type graphics.Let's believe that this time there will be no cartoon type graphics because of Frostbite 3 engine. 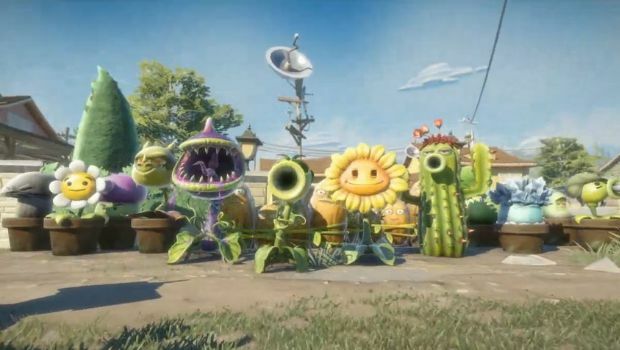 Plants vs Zombies:Garden Warfare is a cooperative third person shooter game.Game engine enables 4 players to play at a time.Plants Vs Zombie : Garden Warfare game is developed Popcap games and released by Electronic Arts.Earlier this year game was announced for Xbox one and Xbox 360.Later Pc version of the game was confirmed by Electronic Arts.The game will be feature Co-op mode and along with competitive multiplayer mode.In multiplayer mode player can either be plant or zombie.EA's plants vs zombie is a 2014 release game.
" OFFICIAL TRAILER OF THE GAME IS SHOWN ABOVE "
First game in this plants vs zombie series was a hit! Let's Hope for this one too. "HOPE YOU ENJOYED THE POST,LEAVE YOUR VALUABLE COMMENTS ON OUR COMMENT BOX"